You know that I’ve been sick for too long when I start blogging about cough drops. Will and I have been going through the most intense double illness that we’ve experienced in the 14 years that we’ve been living together. After a round of antibiotics and inhalers, I am still using cough drops at the office to keep myself from coughing all day long. I have been using and enjoying Halls Triple Soothing Action cough drops, in the Honey Lemon flavor. 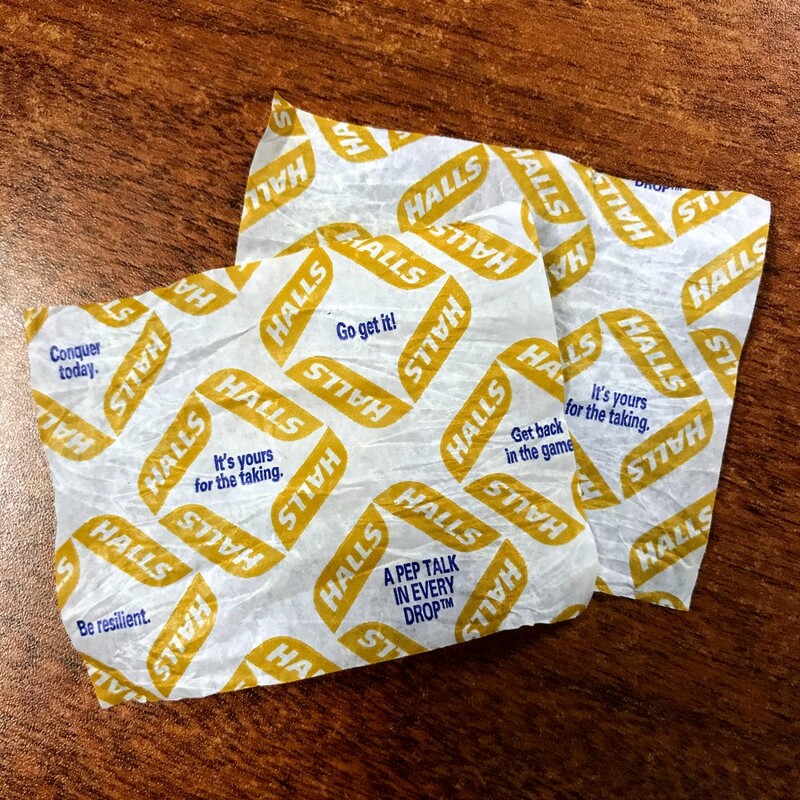 Today, 5 or so days after I popped the first one in my mouth, I noticed that there is motivational messaging on the wrappers! These are so cute. In addition, I’ve noticed now that they have a pretty wide variety of phrases, so it isn’t the same on each wrapper. Add this to the list of tiny things that a manufacturer can do that is so charming to the customer. I wish I had noticed before, I’m sure I would have enjoyed the bit of brightness during my sick days. Congratulations to Halls on this great addition.